The Australian Fur Seal, Arctocephalus pusillus doriferus, is the largest of all the fur seals, weighing 200-300kg. It has a broad head, pointed snout and long, backward-sweeping whiskers. The body is robust and covered in thick, brown, layered hair, except on the front and back flippers. The males are larger than the females and when mature carry a dark mane of coarse hair. They have a set of carnivore-like teeth similar to those of a large dog or bear. Like all members of the family Otariidae (Fur seals and sea lions) they can raise their body onto their front flippers to move around on land. The Australian Fur seal has a relatively restricted distribution around the islands of Bass Strait, parts of Tasmania and southern Victoria. They can be seen hauling out (coming ashore) on islands off South Australia and areas of southern New South Wales such as Montague Island with the occasional animal appearing as far north as the Mid North Coast of New South Wales. Their preferred habitat, especially for breeding, is rocky islands, which include boulder or pebble beaches and gradually sloping rocky ledges. 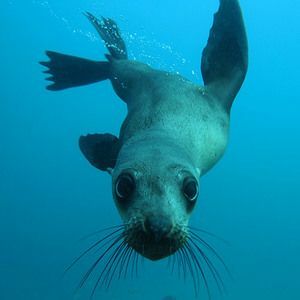 As it is closely related to the South African Fur Seal, its populations worldwide are reasonably secure although it is occasionally commercially hunted in South Africa. In Australia it is fully protected, although its numbers are probably still only half those of the historic pre-sealing days. It continues to be vulnerable to disturbance at its breeding sites and suffers some losses as a result of conflict with commercial fishing operations. 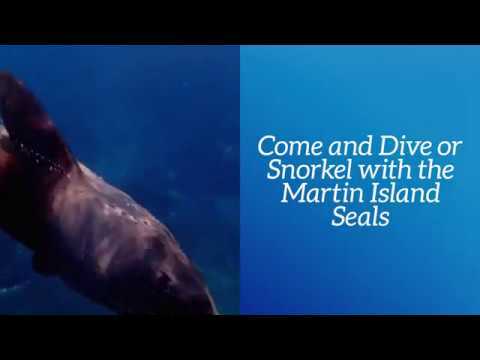 These seals feed on a variety of bony fish species plus squid and octopus. They are voracious and skilful hunters in the water and are not averse to taking advantage of situations where fish are corralled by nets and fish farms. Australian Fur Seals come ashore each year and form breeding colonies. The adult males come ashore first and establish territories. Females congregate within these areas and are defended by the resident male often with considerable aggression towards the females and other males. Females spend most of the gestation period at sea, coming ashore just before the birth of a single pup between October and December. Females generally mate again 6-10 days later. The pup population suffers a high mortality rate in those first two months of life especially when the mothers are away at sea feeding. Pups are weaned at four to six months old but may still remain with the mother for a further six months or more.